If you need to get a decent night's sleep and get on with life, but it feels like your body has other ideas, try our Max Day & Night Cold & Flu Relief Capsules - a combination pack that includes daytime and night-time capsules. The daytime capsules will relieve your headache, aches and pains, blocked or runny nose and fever, as well as giving you a caffeine boost to keep you going. The night-time capsules continue to ease away the aches and fever, while relieving nasal congestion and so allowing sleep. Red and Yellow Day CapsulesAdults and children over 12 years: 2 capsule to be taken every 4 hours dring the day. Do not take more than 6 Day capsules in 24 hours.Children 6-12 years of age: 1 capsule to be taken every 4 hours during the day.Do not take more than 3 Day capsules in 24 hours.Blue and Red Night CapsulesAdults and children over 12 years: 2 Night capsules to be taken at night.Children 6-12 years of age:One Night capsule to be taken at night.Maximum dosagesAdults and children over 12 years: Do not take more than 8 capsules in total in 24 hours.Children 6-12 years of age: Do not take more than 4 capsules in total in 24 hours. 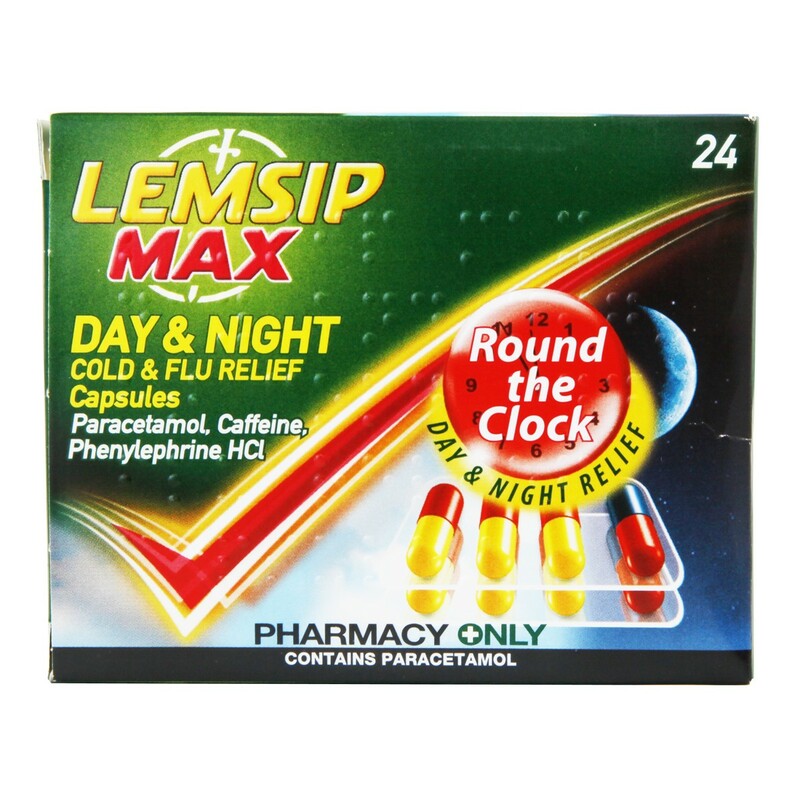 Thank you for your interest in Lemsip Max Day & Night Cold & Flu Relief Capsules. Enter your email and we'll contact you as soon as it's available again.